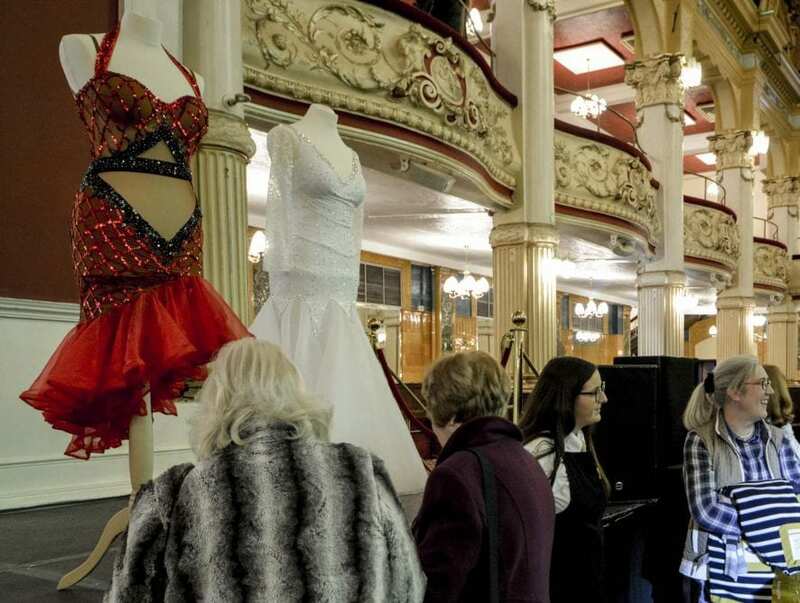 Blackpool Winter Gardens celebrated a big anniversary in 2018. 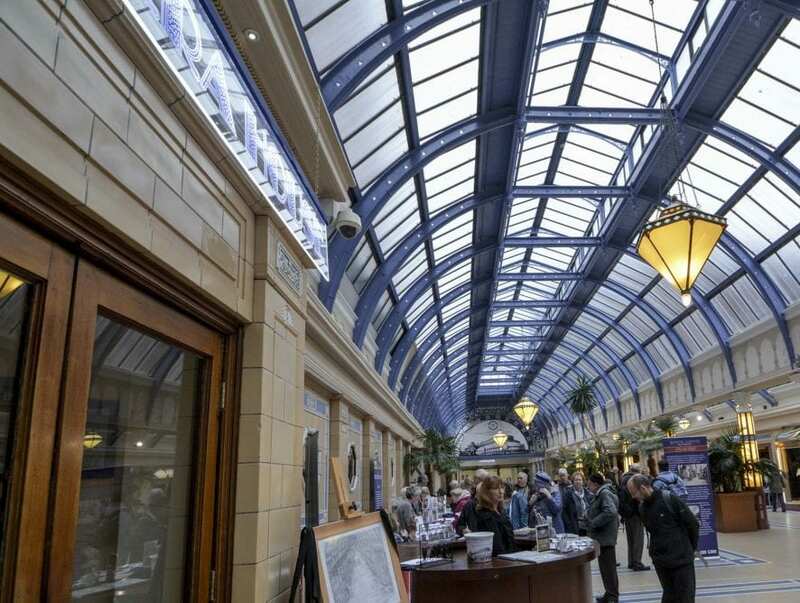 It’s an amazing complex of buildings and an important part of our seaside town. As it continues to grow and change, it’s story is far from over yet! 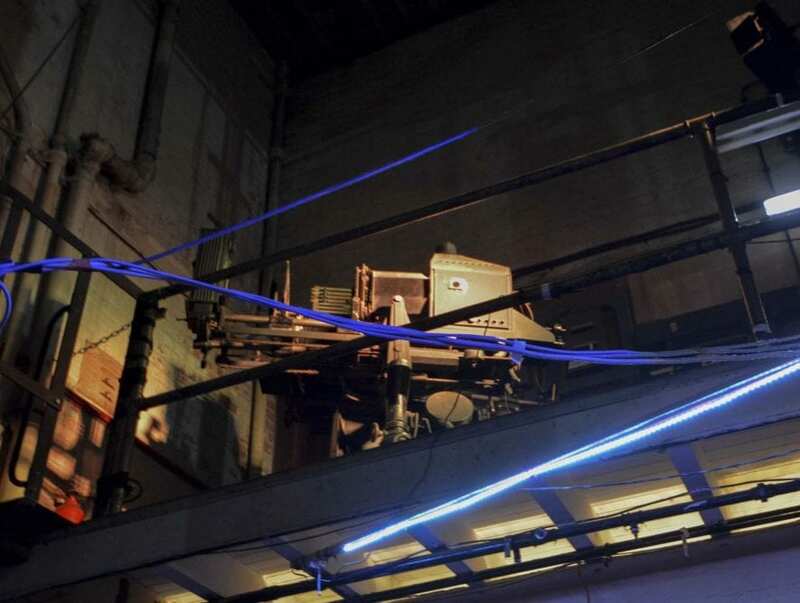 In January each year, the Winter Gardens complex throws open its doors for a no-holds-barred open day. 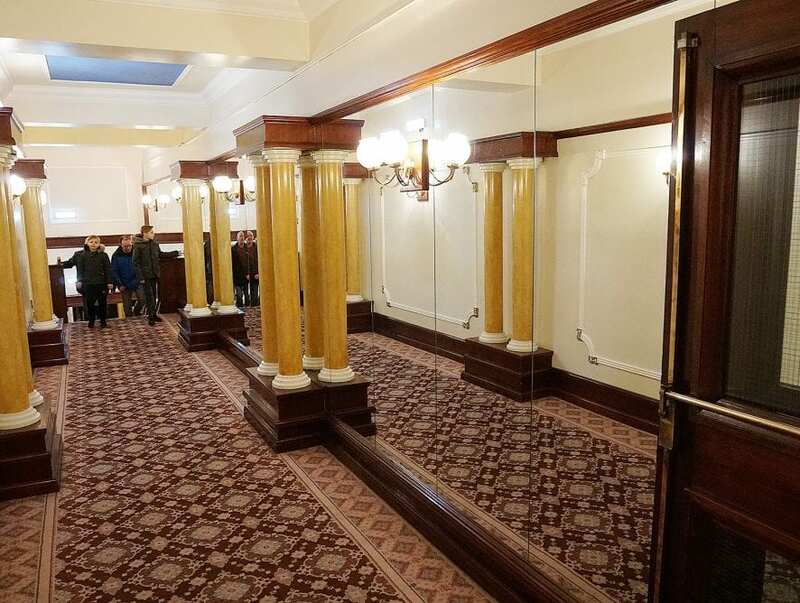 Incredibly popular, it’s the one day of the year when you can access all of the rooms, the backstage secrets, changing rooms and corridors in this magnificent building. 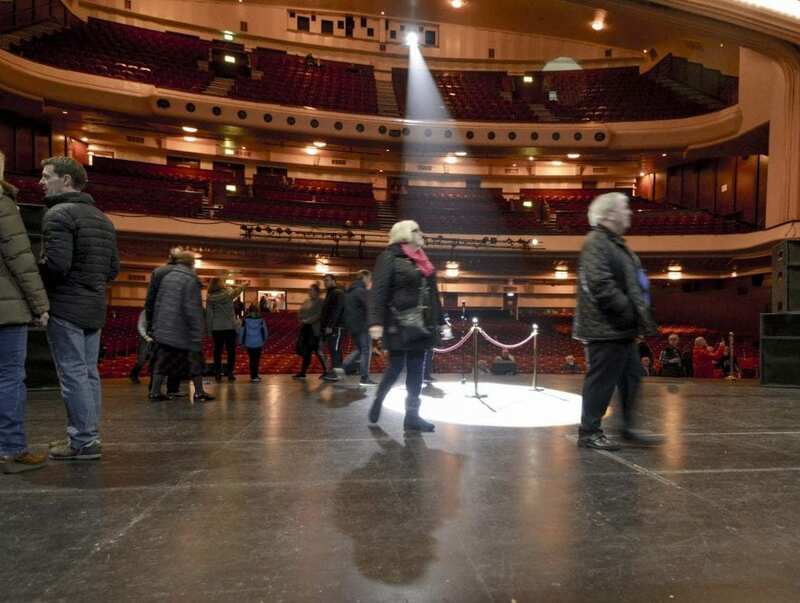 On 26 January 2019 we went along to take a look – see if we caught you on any of the photos! 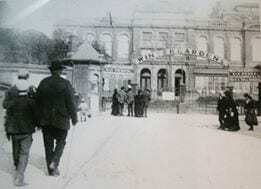 Did you know that the Winter Gardens was 140 years old in July 2018? We’ve started off this page about its history and we’d particularly like to add what you know about it. Have you got any old family photos that you’d like to include? Do you know anything different or unique or any little known facts? 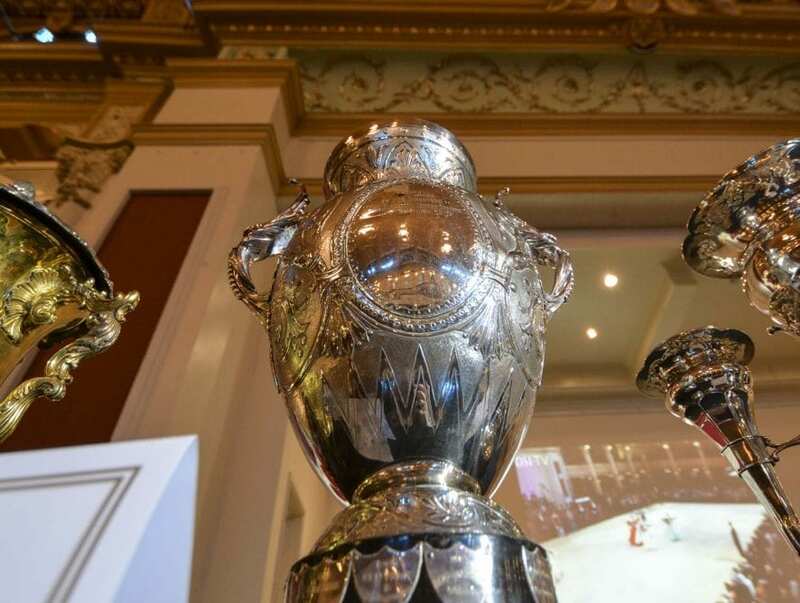 Watch this short film (below) from Blackpool Museum Service. 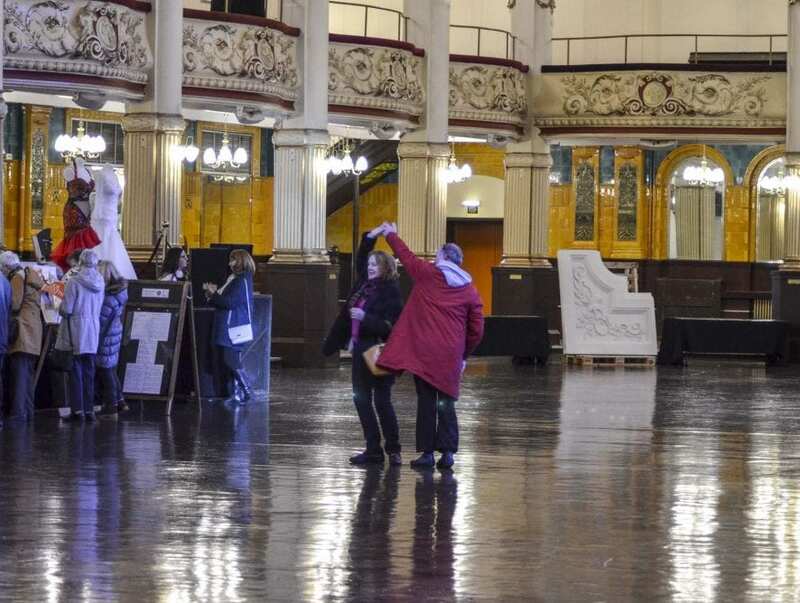 It’s an interview with Carl Carrington (Service Manager Built Heritage, Blackpool Council) about the architectural significance of the Winter Gardens building. It was filmed in June 2017. 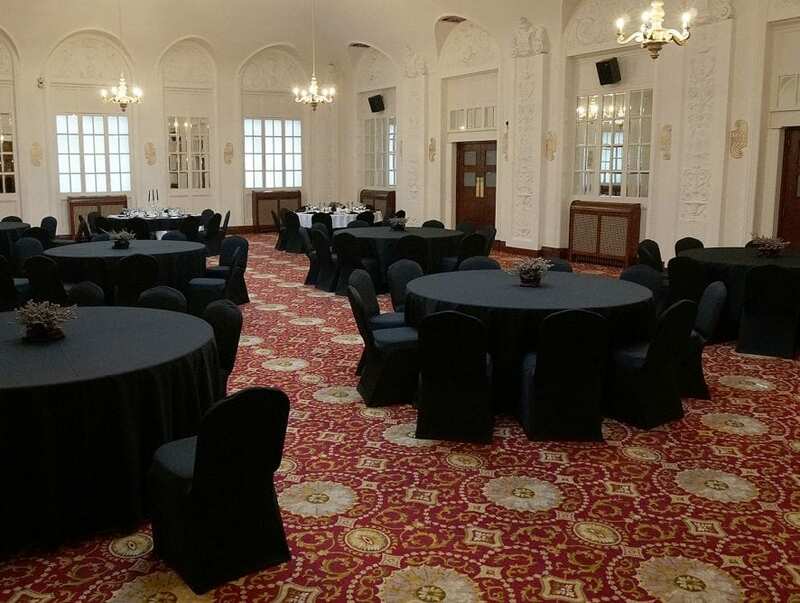 We’ve started off with some key dates about when the different sections were built in the Grade 2* listed building, when it was bought and sold and such like. 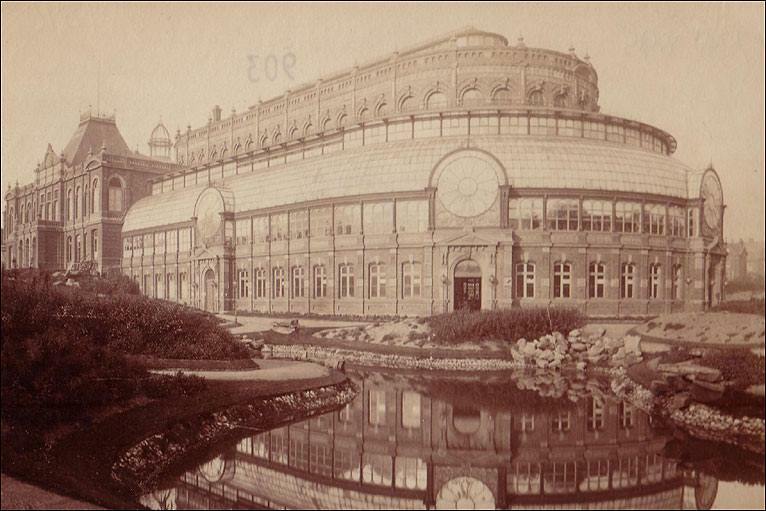 In 1875, the Winter Gardens Company was formed and bought the six acre Bank Hey site site for £28,000. The buildings we know today were all built between 1878 and 1939. 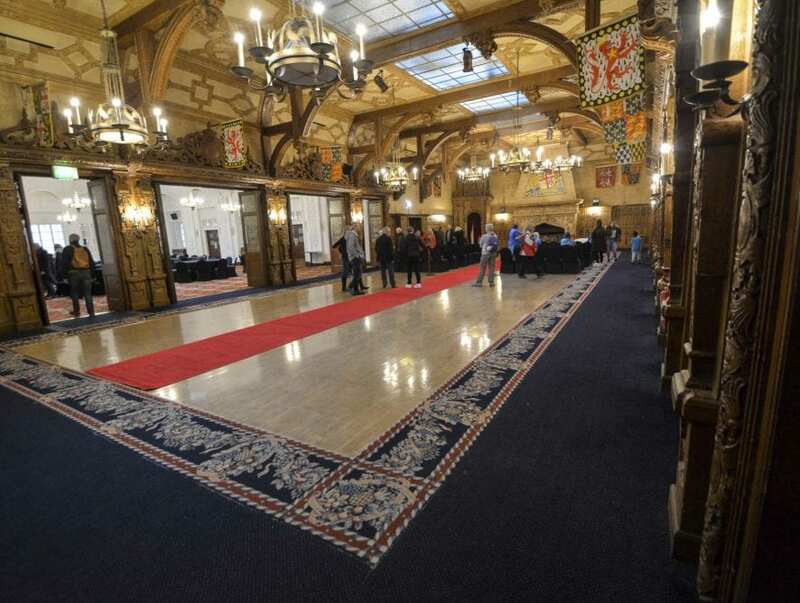 They built an indoor promenade and pavilion, which opened with much ceremony on 11 July 1878. 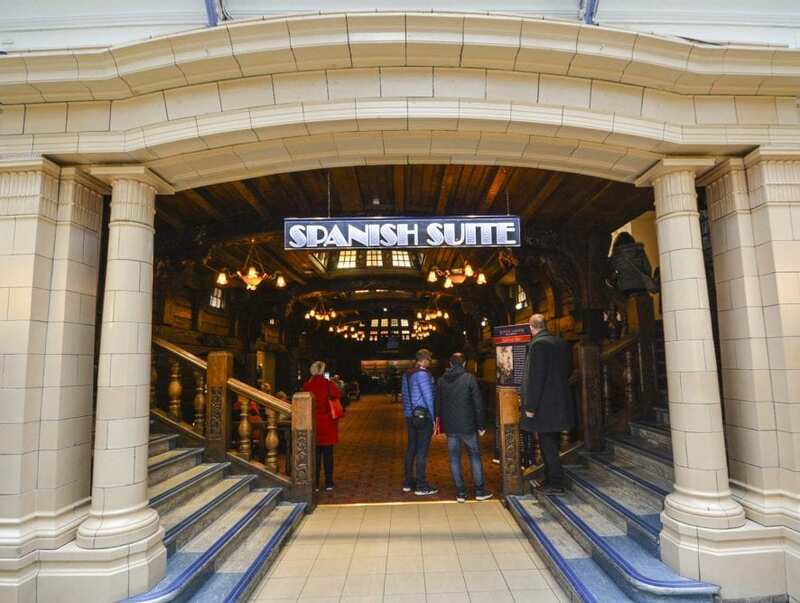 The lavish ceremony that was hosted at the venue to mark its opening was attended by the Lord Mayor of London and Mayors and Mayoresses from 68 towns throughout the country. 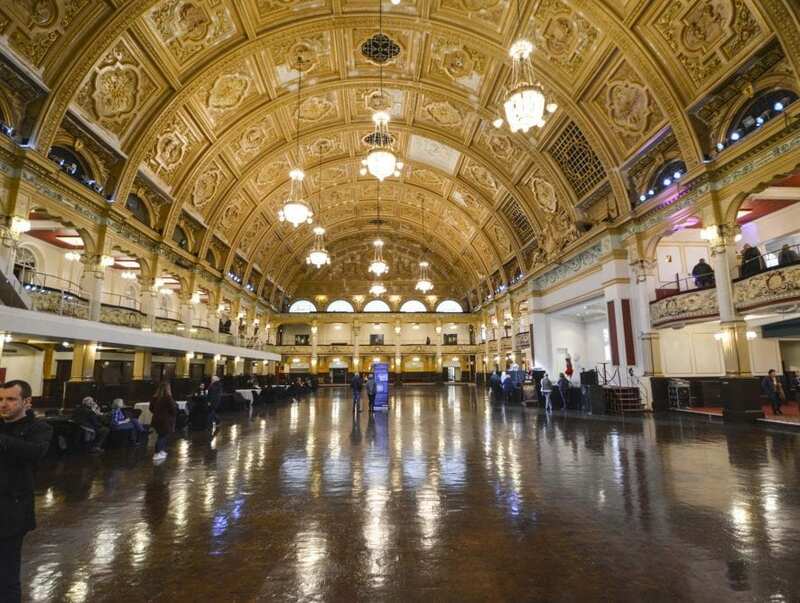 Now, 140 years later, a gala dinner was held in the world-famous Empress Ballroom on Friday 6 July 2018. 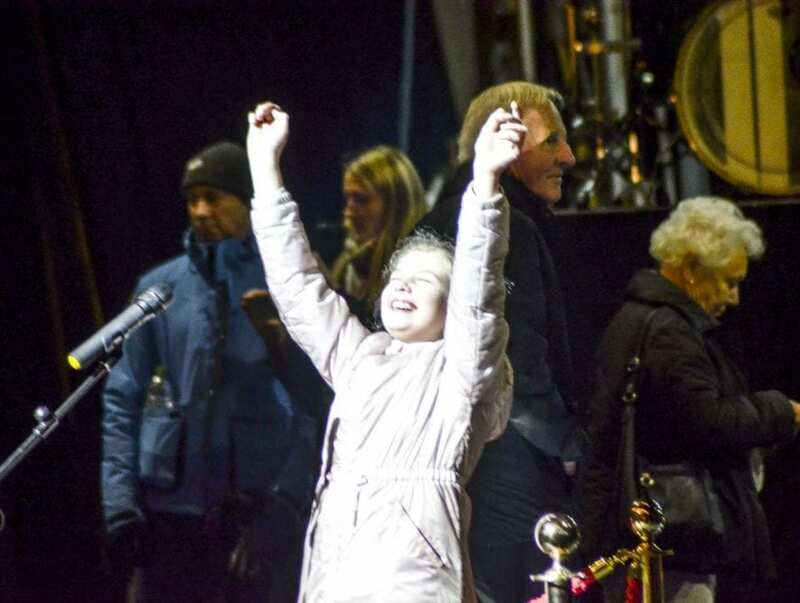 It marked the big birthday and began a yearlong calendar of showpiece and community events. 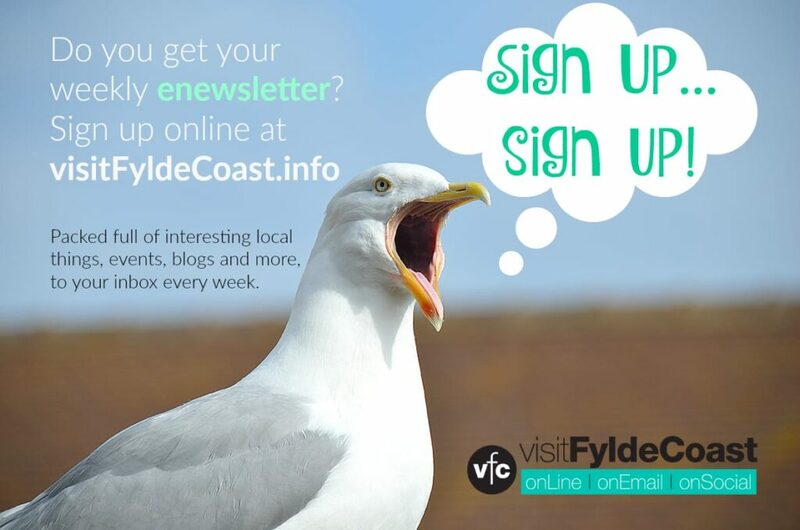 With thanks to Visit Fylde Coast contributor Juliette Gregson for these photos of Winter Gardens past. 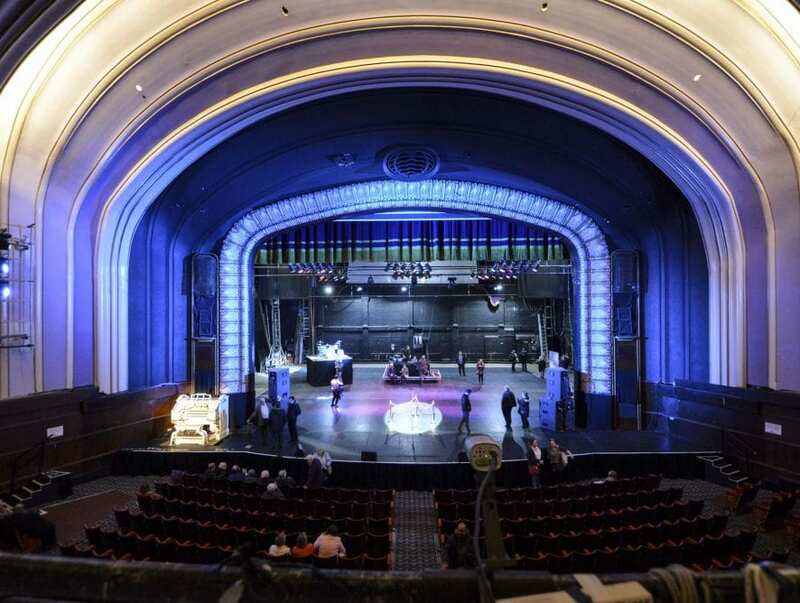 Since opening in 1878 the venue has welcomed millions of visitors across its collection of theatres, ballrooms, exhibition halls and public spaces.  Have you looked at the board in the Church Street entrance? It lists the big name artists through the years. 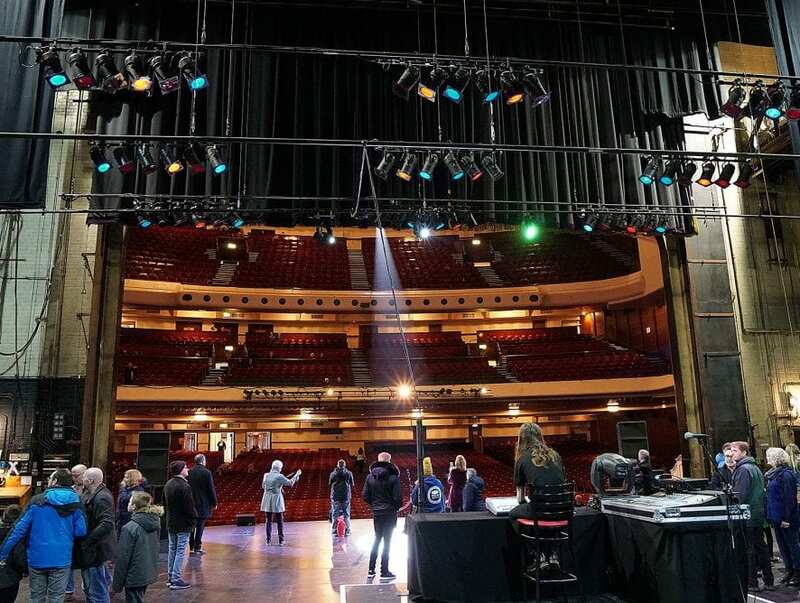 Playing host to the biggest names in show business including Hollywood stars such as Frank Sinatra, Judy Garland and Bob Hope, and more recently, the likes of Little Mix, Bob Dylan, Peter Kay and One Direction have performed to sell-out audiences here. Not forgetting world politics welcoming party conferences for many years hosting the likes of Winston Churchill, Margaret Thatcher through to Tony Blair and Bill Clinton. 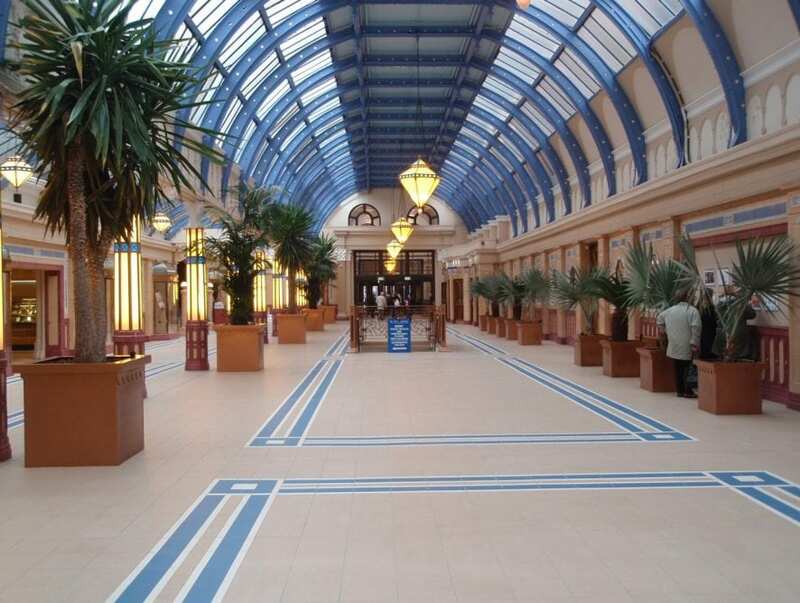 Blackpool Winter Gardens was originally built over a 6-acre site at a cost of just £100,000. 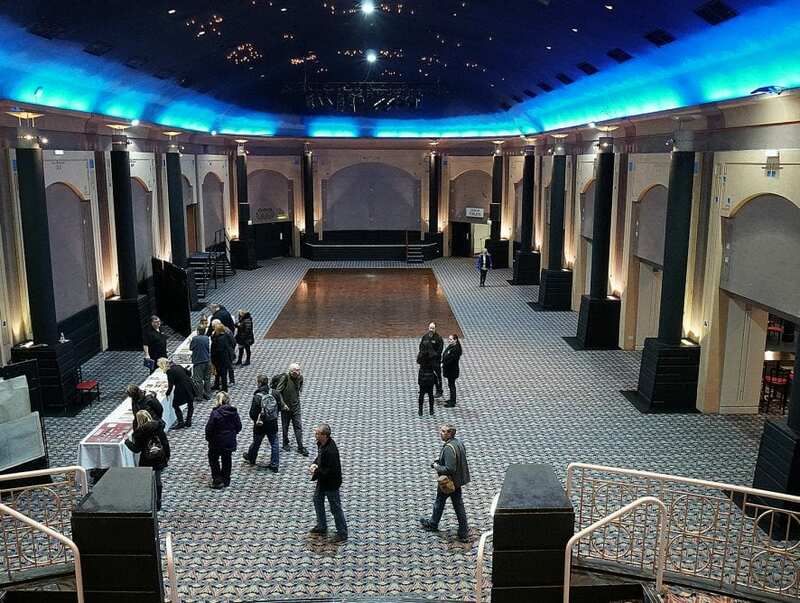 The venue featured concert rooms, and promenades which were followed with various projects through to 1939 including the Opera House, Empress Ballrooms and Spanish Suites. 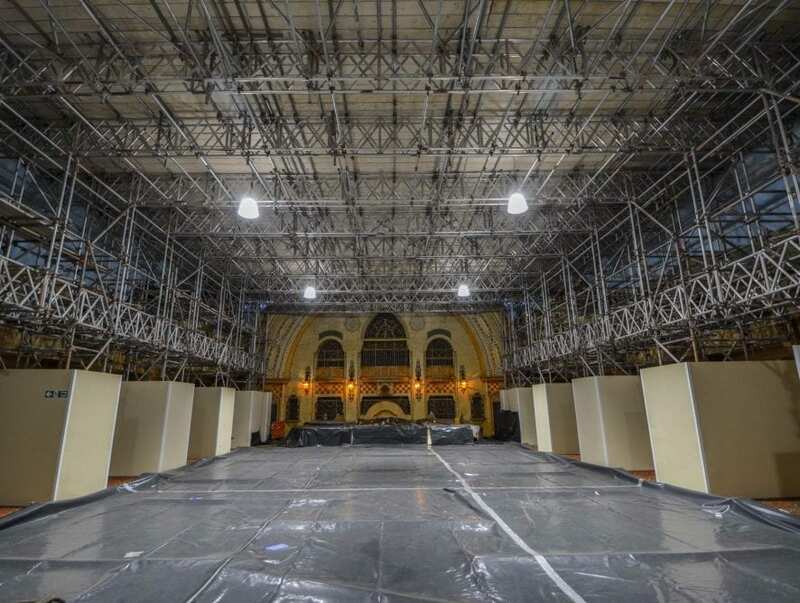 The largest building project at the Winter Gardens Blackpool since completion of the Opera House in 1939 is now well underway, with the new Conference and Exhibition Centre which is set to open in 2019. 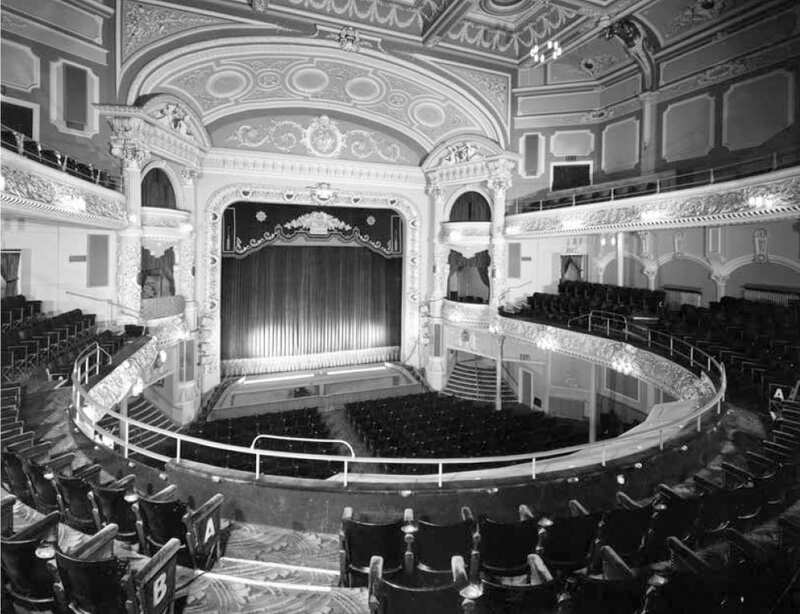 1939 – Opera House Theatre was rebuilt – v3 is the current one. 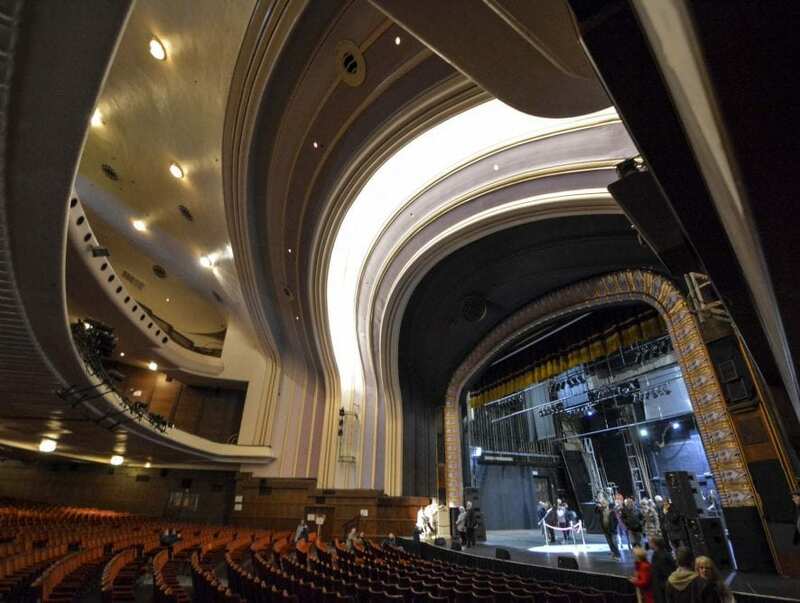 Did you know that the 3000 seater theatre is one of the largest in the country? 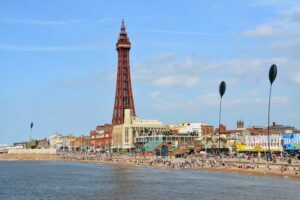 1998 – Another change of owner, when Leisure Parcs did a £74m deal that also included Blackpool Tower and the three piers. 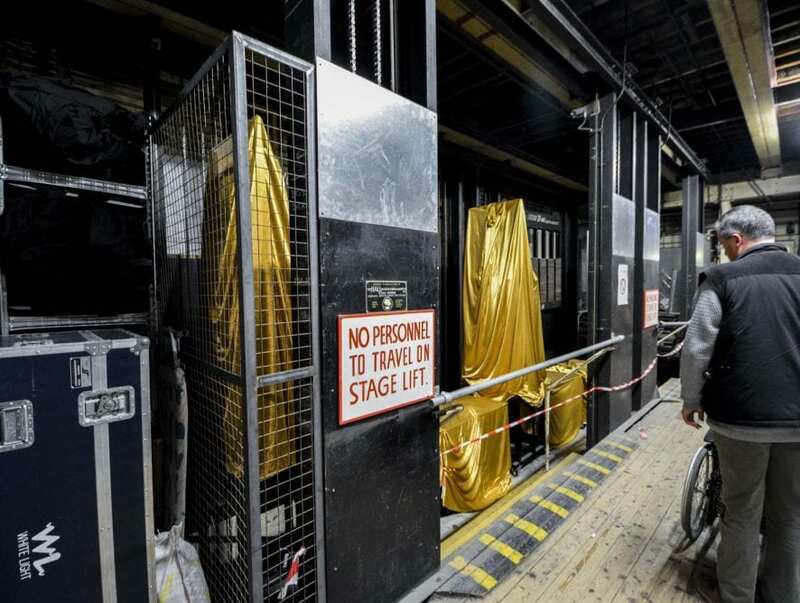 2009 – The Royal Variety Performance was back again! 2010 – Blackpool Council bought the Winter Gardens, Tower and other sites in a £40m deal. 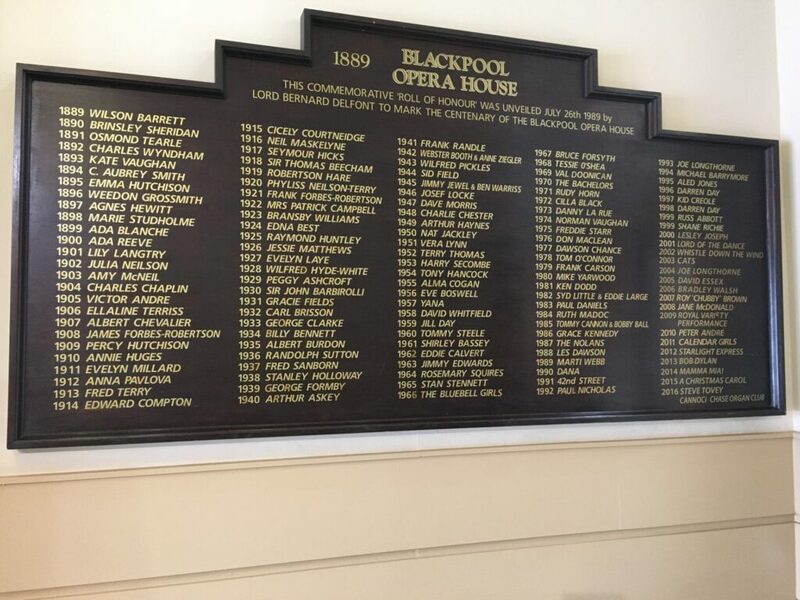 It’s now operated by Blackpool Entertainment Company Ltd.
2016 – Statue of Morecambe & Wise was unveiled and stands in the entrance vestibule to the Floral Hall. 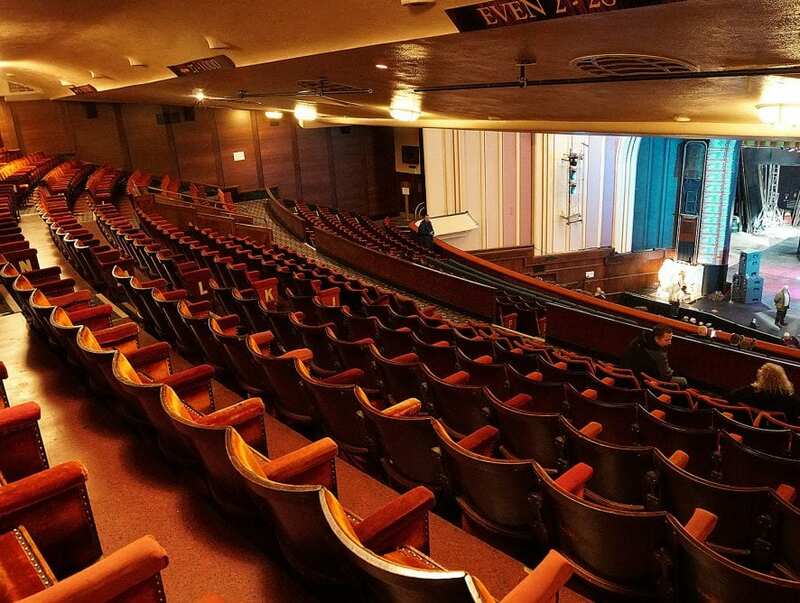 The historic, 137-year-old Pavilion Theatre was placed on the Theatre’s Trust’s ‘At Risk’ register in 2014. 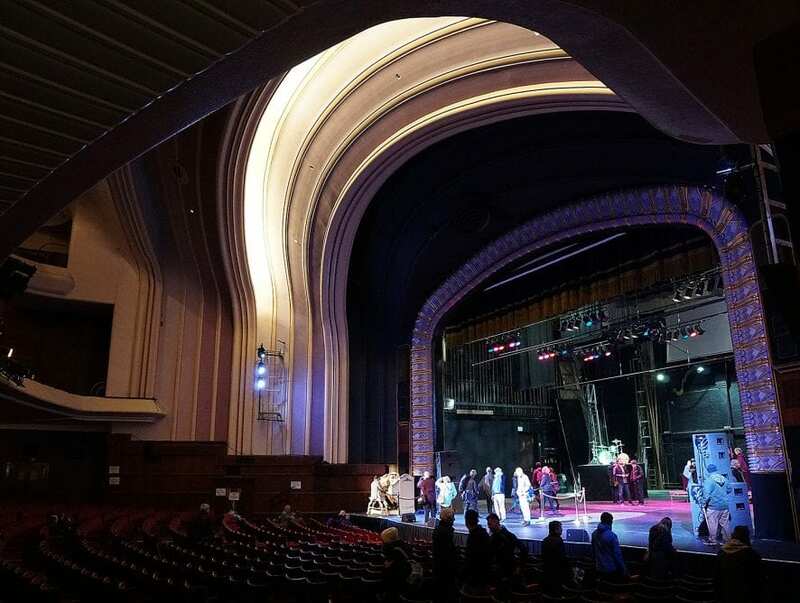 It’s an indication of the vital need for investment to protect the venue’s long-term future and will help in securing grants and support. 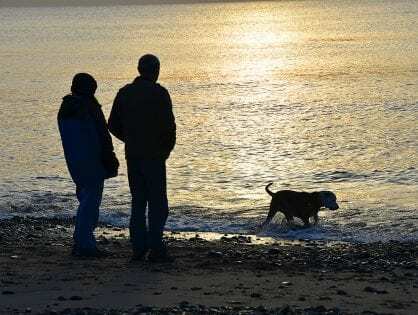 In December 2015 it was one of 77 projects across Great Britain to receive a share of £3 million coastal revival funding. 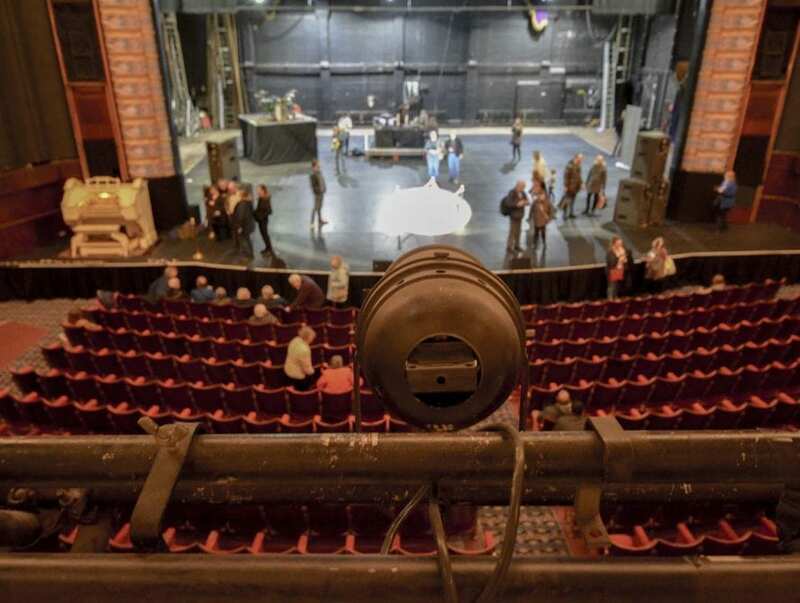 The £50,000 granted to Blackpool Winter Gardens will be used to restore the walls of the Pavilion Theatre. 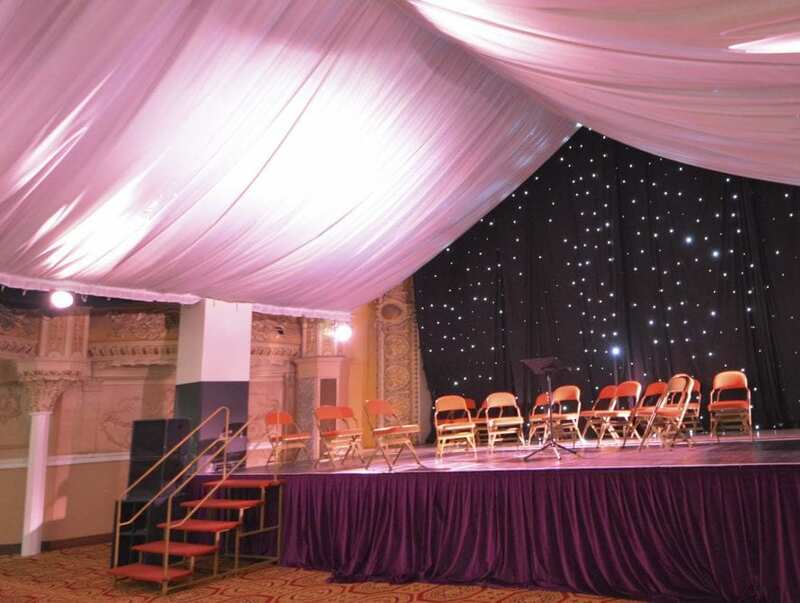 The Pavilion is an important part of the history of Blackpool Winter gardens. 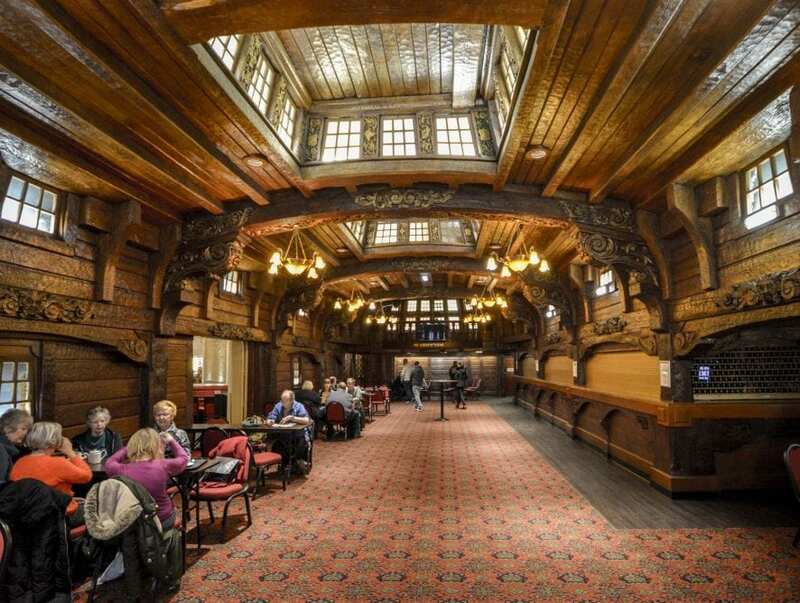 It was created as a concert hall in 1878 and converted to a theatre in 1889. 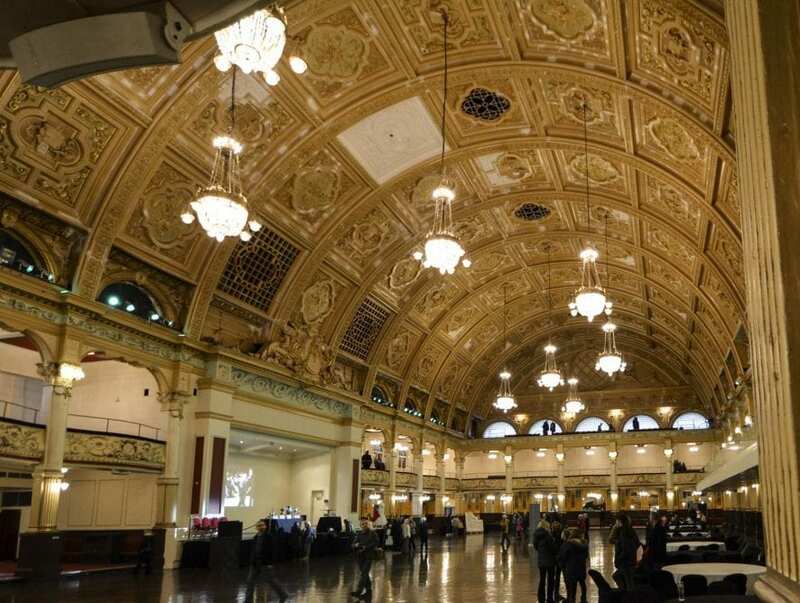 A major re-building took place in 1897, resulting in a splendidly opulent apsidal-ended music hall. The beautiful plasterwork, designed by J M Boekbinder, was completed in 1904. 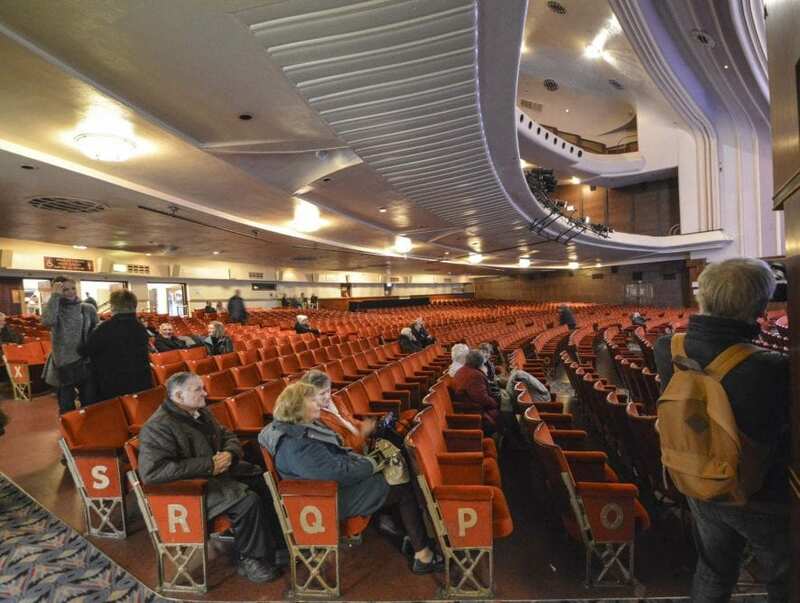 In the 1920s it became a picture palace and by the 1950s was used for summer shows. 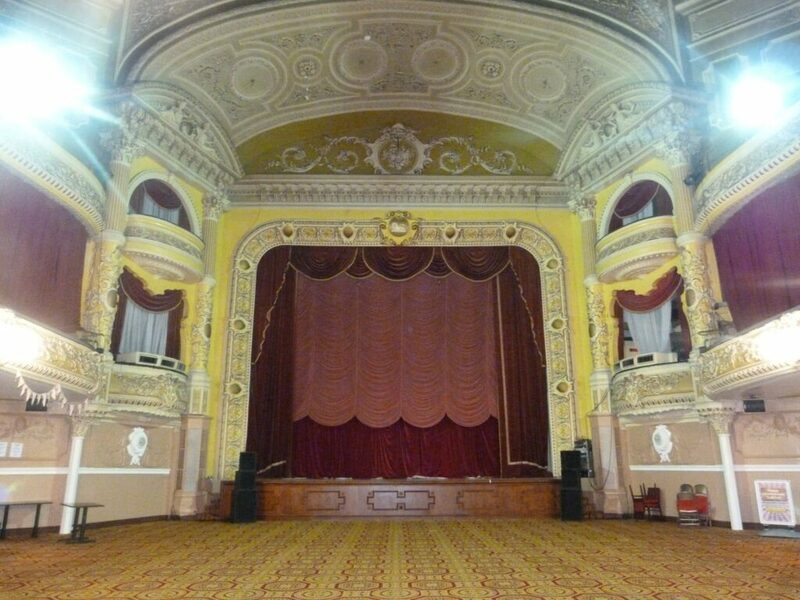 Household names such as Morecambe & Wise and Tommy Cooper performed there. 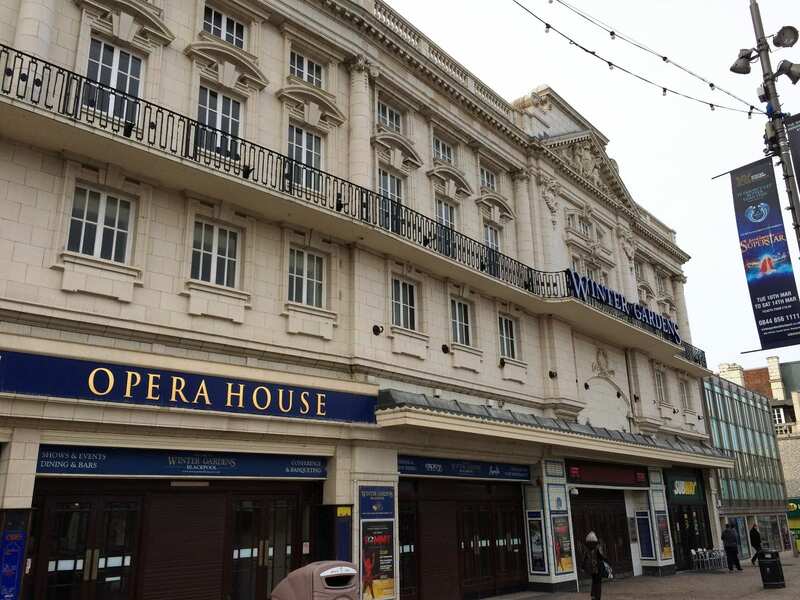 Plans have been unveiled revealing a partnership between global producers Selladoor Worldwide and operators Blackpool Entertainment Company to bring a fresh lease of life to the historic Pavilion Theatre. 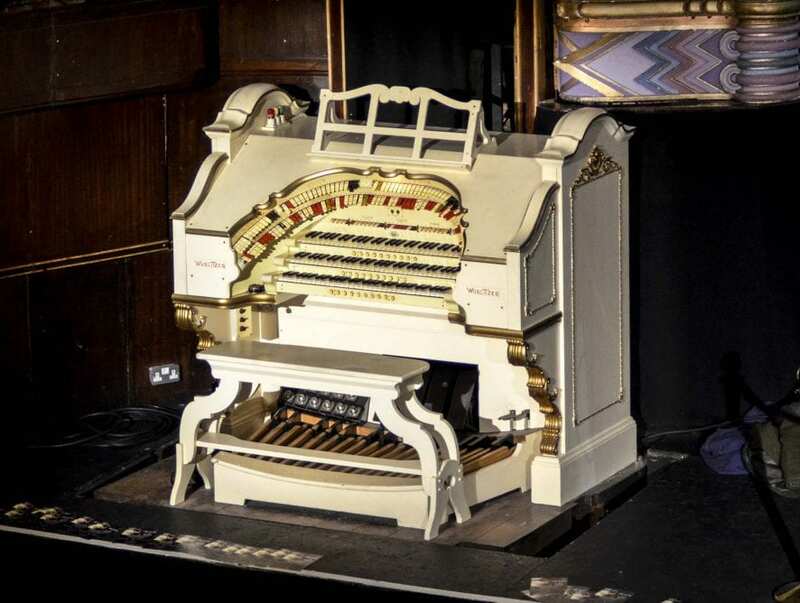 Although a stunning and richly decorated building, with opulent interior designs, this building is no longer used as a theatre, and is currently listed as ‘at risk’ by the Theatres Trust. 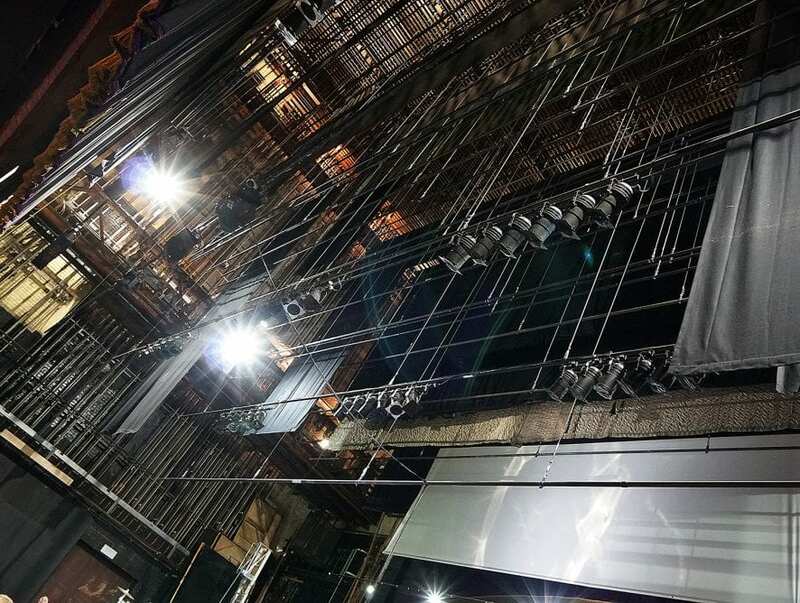 During this joint venture, Selladoor Worldwide will base it’s own Northern Powerhouse out of the theatre and lead on programing the space with both produced and received work. 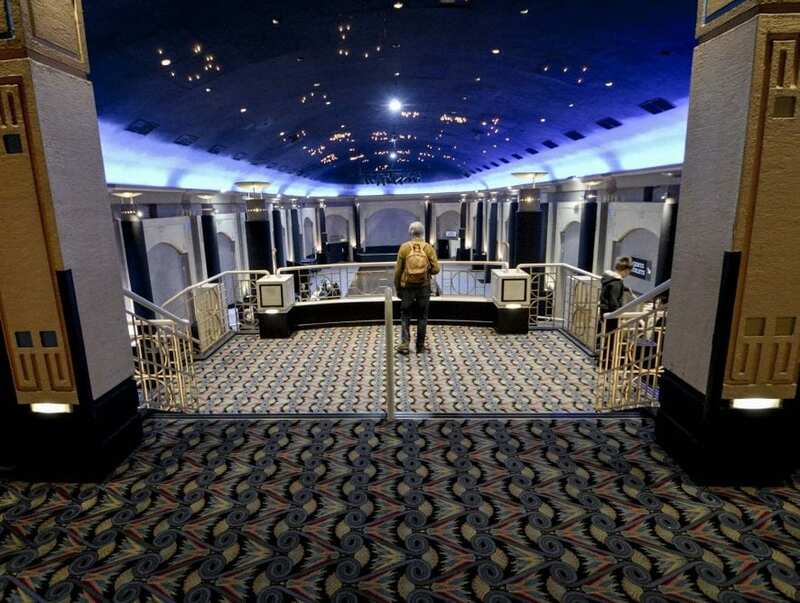 Winter Gardens Blackpool will focus on the renovations to save and restore the theatre back to its full former glory for future generations to enjoy. 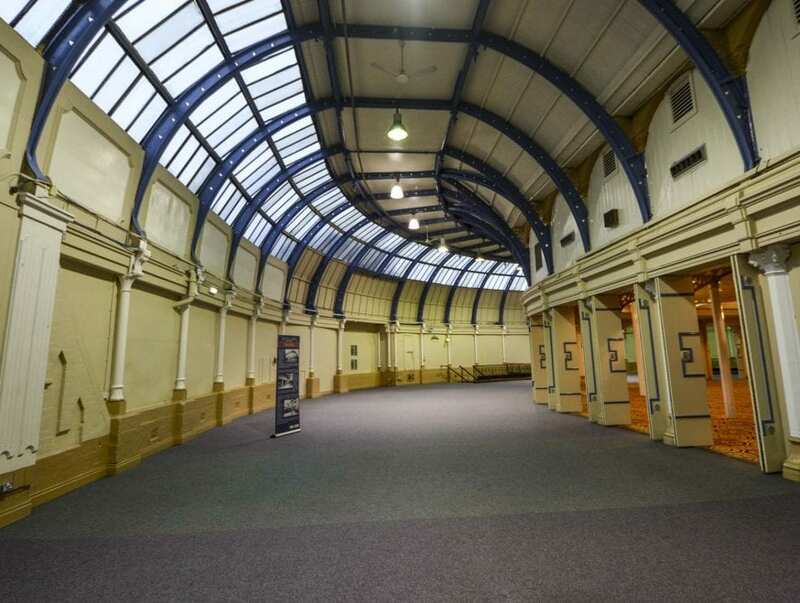 It’s the oldest venue in the Winter Gardens complex. 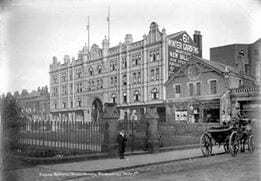 The venue was part of the original 1878 build and was an entertainment hub, catering to large crowds at the turn of the 20th century. 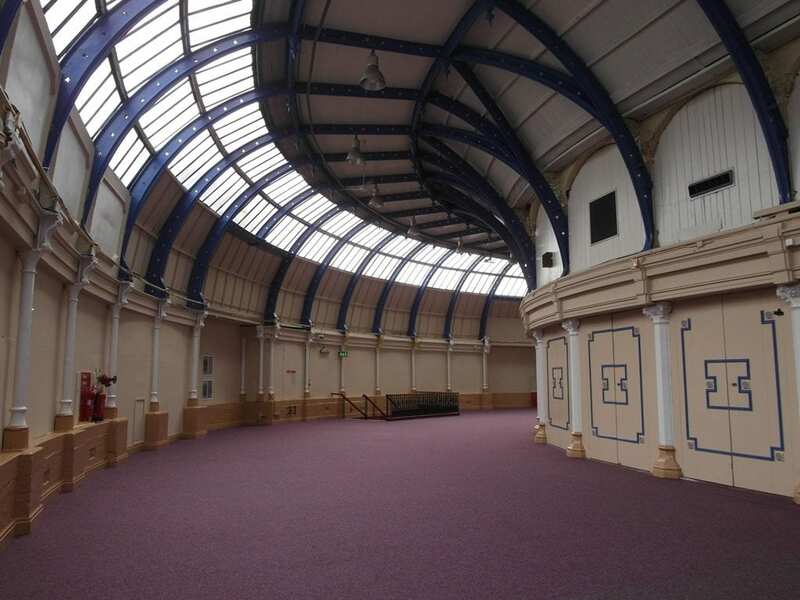 Following the purchase of the Winter Gardens by Blackpool Council in 2010, a lot of work has been put into the ongoing restoration of the building. Now, a new conference centre is being built and continues the tradition of developing this much loved entertainment complex. It’s scheduled to open in 2019. 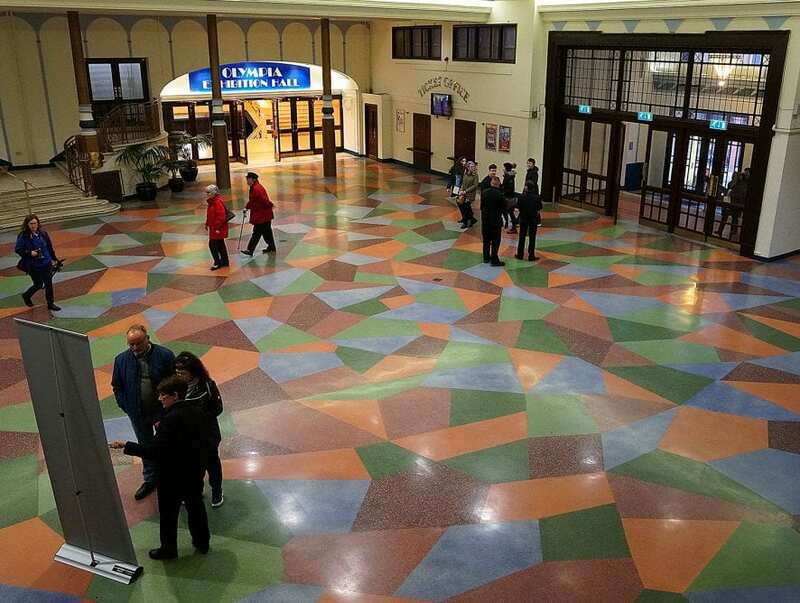 The Floral Hall is open to the public (unless a big event is being held). 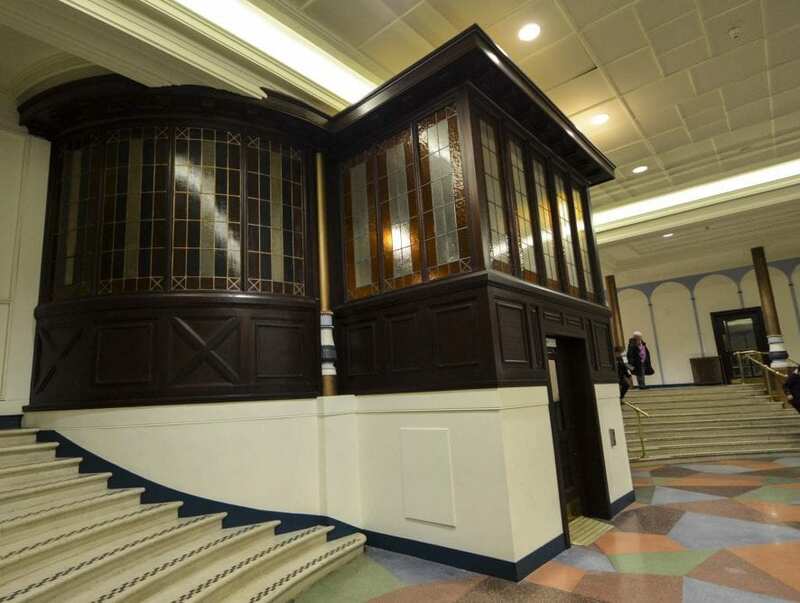 You can walk through and have a look at the recent restoration work and marvel at the amazing glass ceiling. Floral Hall inside newly restored Winter Gardens. 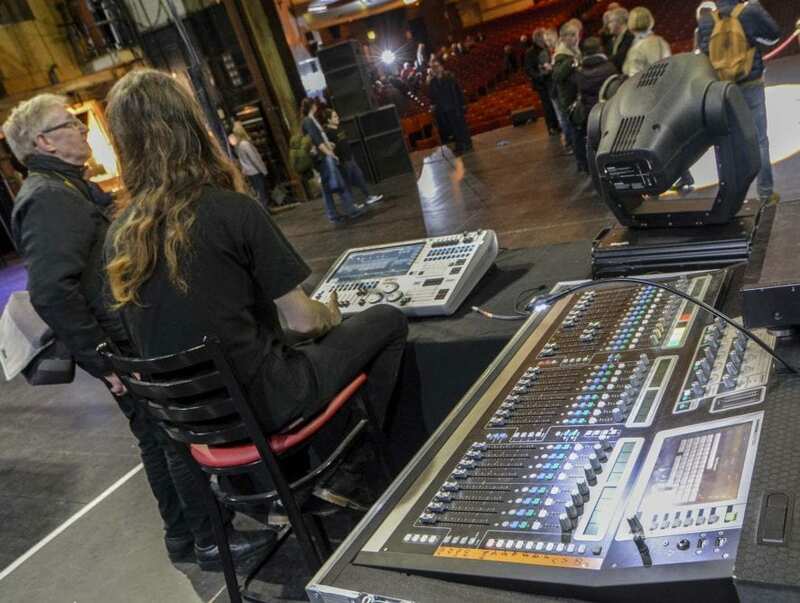 Each year in January each year an access all areas open day is held. 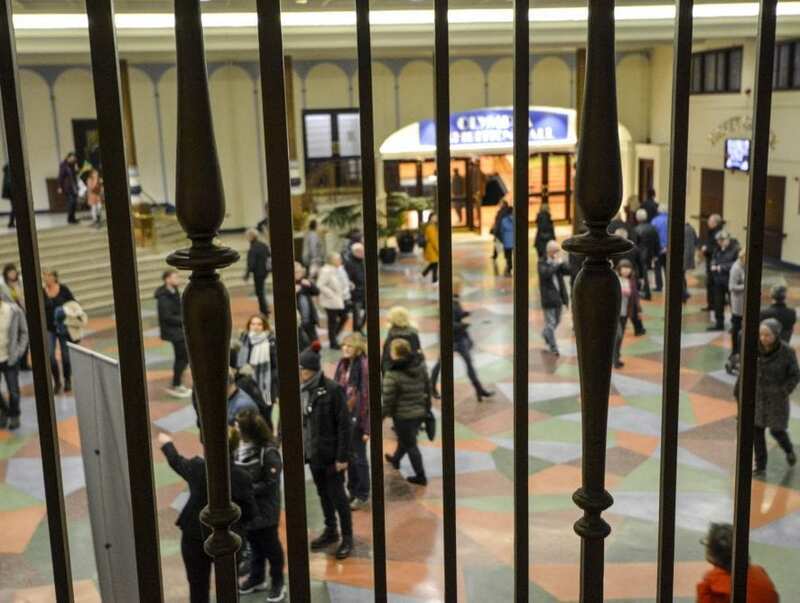 Many thousands of people stream through the doors and look everywhere around the building. 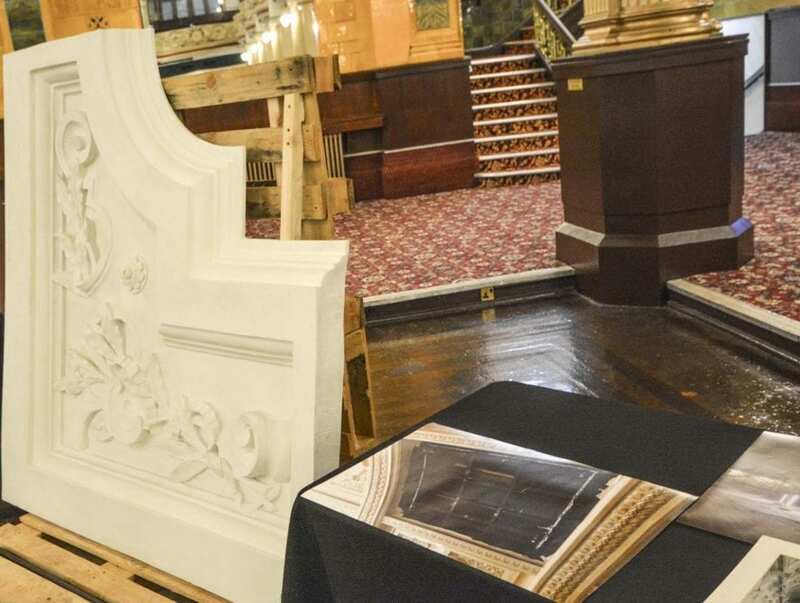 The aim of the Winter Gardens Trust is to raise awareness of the significance of the spectacular grade II* listed Blackpool Winter Gardens and support its repair and restoration. 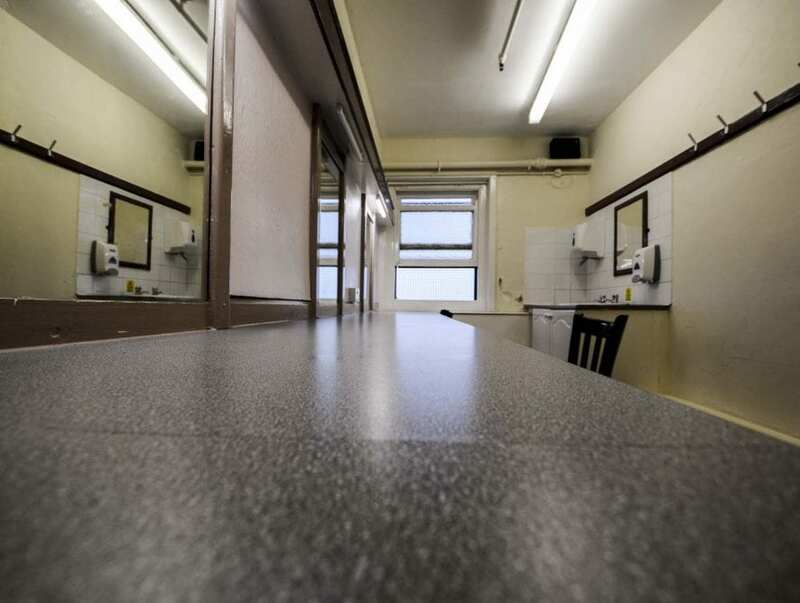 In particular, the Trust aims to encourage people to use the building, as a public space and a place for events. 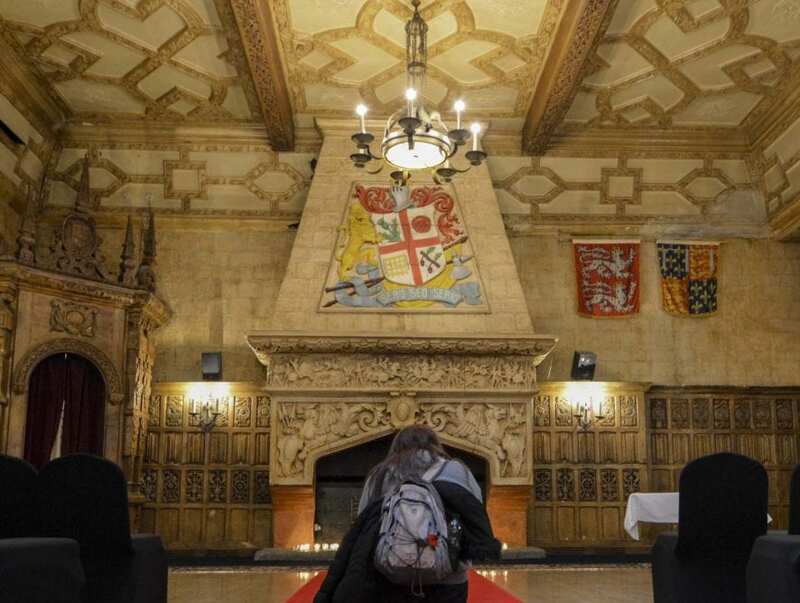 It’s about making public access easy and making information about this magnificent complex available to the public so they can understand why it’s special. 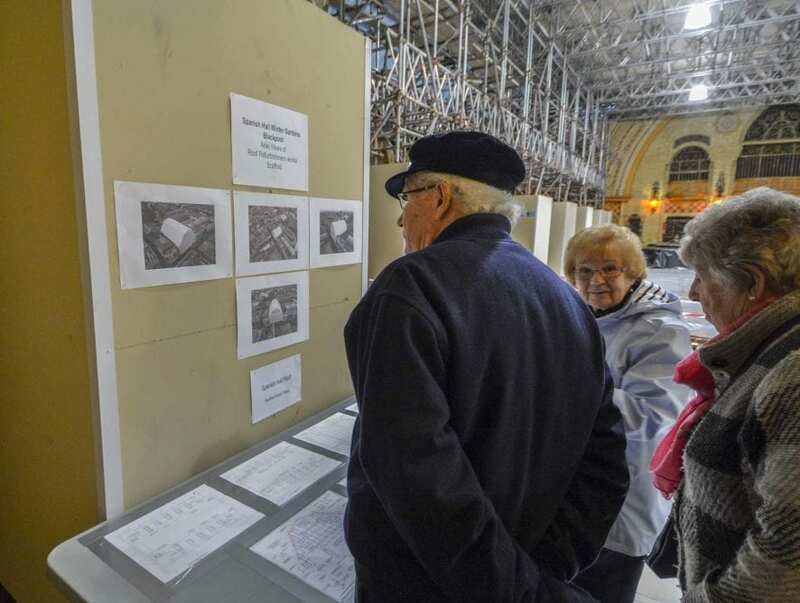 It’s not all about money, but the fundraising work of the Winter Gardens Trust is important. 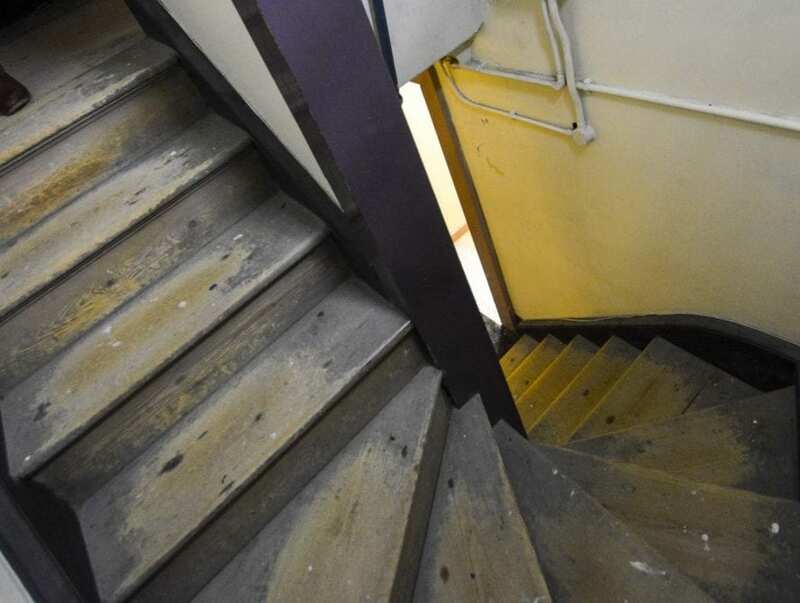 Some of the works required don’t attract funding so the Trust can fill some of those gaps by paying for smaller projects or providing funds to enable bigger grants to be accessed. 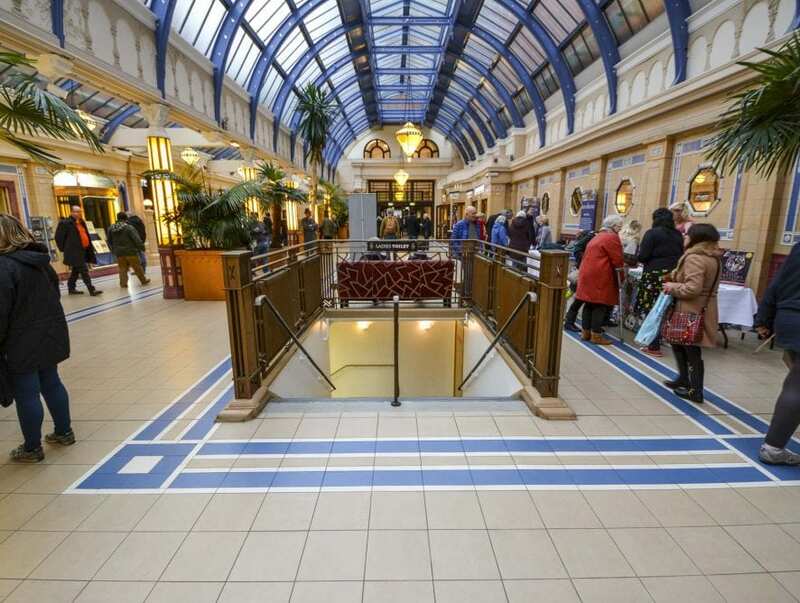 Importantly it ensures that the public have a voice in major changes to the Winter Gardens. 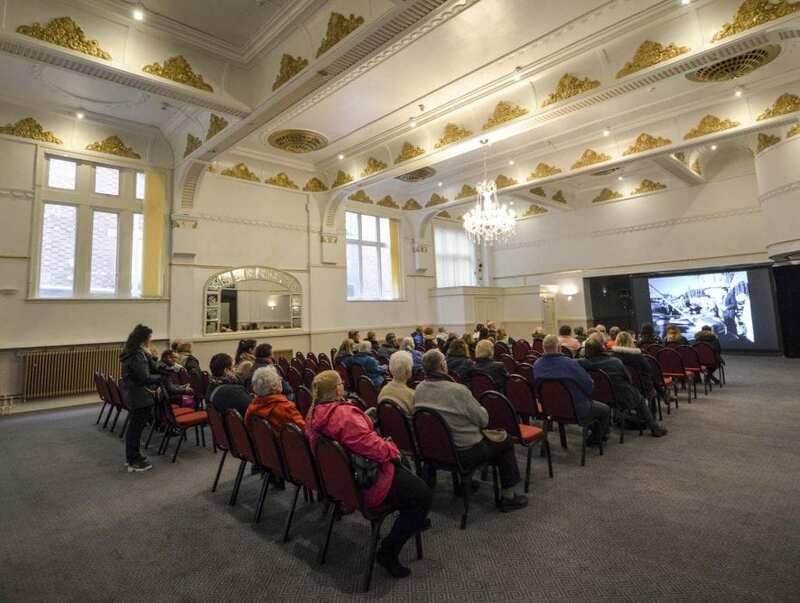 The Trust works with Blackpool Council and the Operator to ensure changes are sensitive to the history of the building and that developments don’t undermine the significance of the many spaces and spectacular interiors that make up the complex. 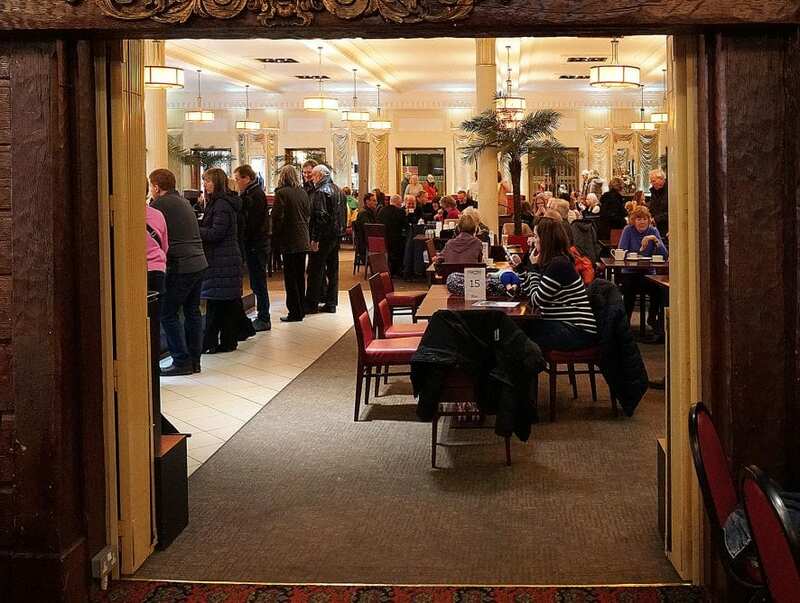 All kinds of entertainment is held throughout the year at Blackpool Winter Gardens. 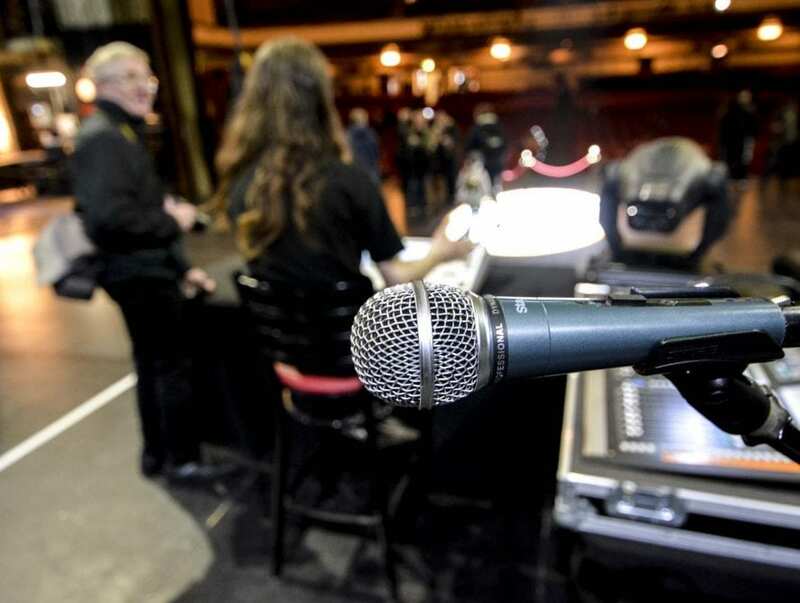 There’s a full A-Z of everything that you could wish for – live bands, magic, drama, theatre, punk and pigeons! There really is something for everyone. 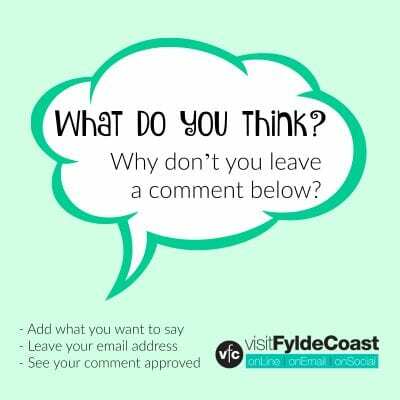 If this information has whetted your appetite, why don’t you join Blackpool’s Past – the Original Facebook Group. All kinds of amazing photos and information is discovered there. 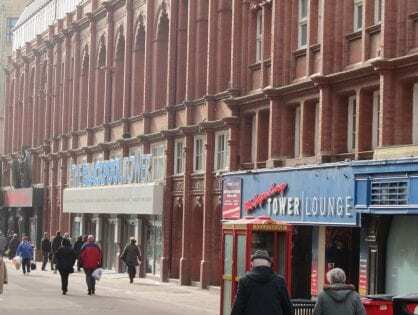 Read Nick Moores history of Blackpool – it’s the most comprehensive guide of EVERYTHING to do with the history of Blackpool. I have attended the dance festival in May every year from 1964. I have also competed in the competitions over the years. 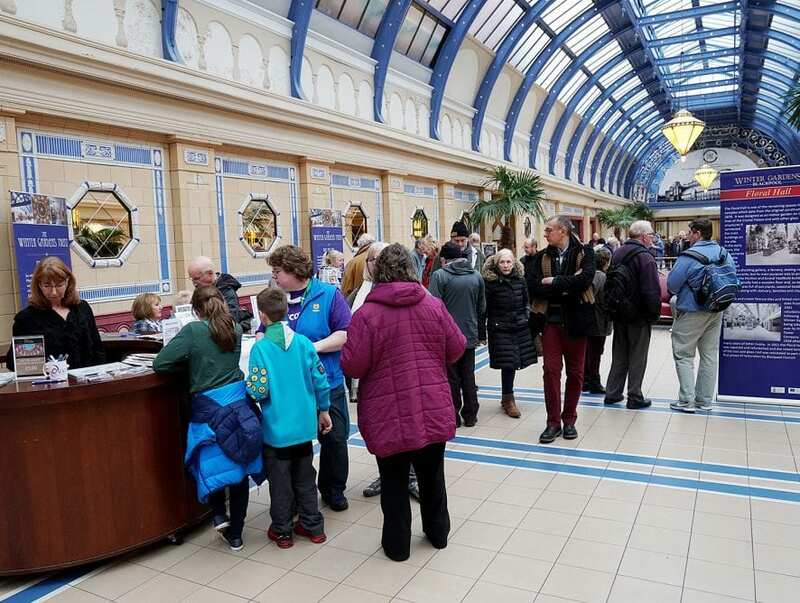 I also attended the music festival when it was held in the Winter gardens. Concerts too in the Pavilion. It has so many memories for me. 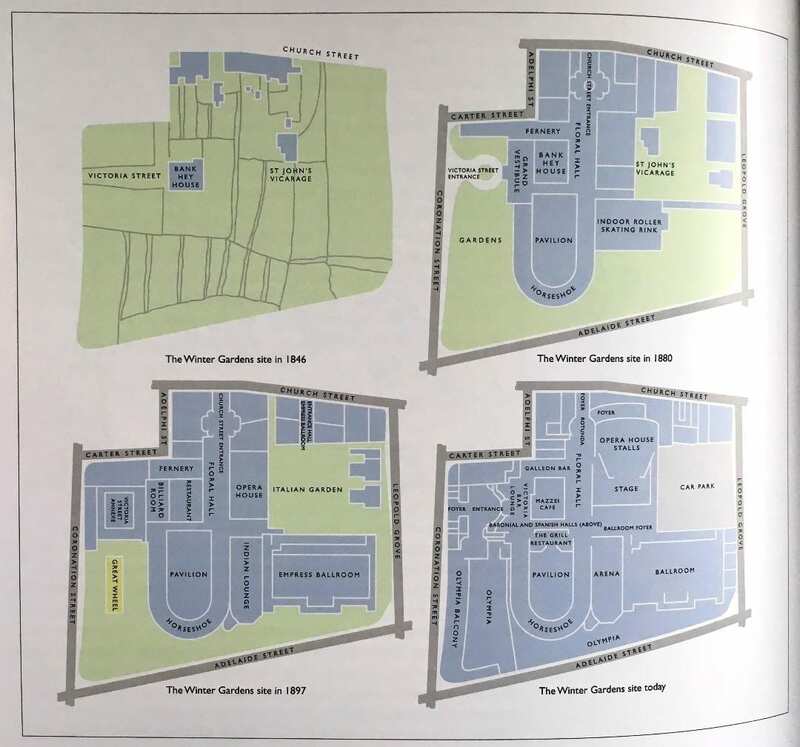 Why was it called the Winter Gardens? To my knowledge it was because it’s a place that can be enjoyed all year round, and in winter.